Hanja or hanja-eo (한자어, 漢字語) is the Korean name for Chinese characters. OK now let me tell u guys something about Chinese. Han Chinese (simplified Chinese: 汉族 or 汉人; traditional Chinese: 漢族 or 漢人; pinyin: hànzú or hànrén) are an ethnic group indigenous to China and the largest single ethnic group in the world. Han Chinese constitute about 92 percent of the population of the People's Republic of China and about 19 percent of the entire global human population. There is substantial genetic, linguistic, cultural and social diversity between its various subgroups, mainly due to thousands of years of regionalized assimilation of various ethnic groups and tribes in China. The history of the Han Chinese ethnic group is closely tied to that of China. Han Chinese trace their ancestry back to the Huaxia, people who lived along the Yellow River in northern China. The famous Chinese historian Sima Qian's Records of the Grand Historian dates the reign of the Yellow Emperor, the legendary ancestor of Han Chinese, to 2698 BCE to 2599 BCE. Although study of this period of history is complicated by lack of historical records, discovery of archaeological sites have identified a succession of Neolithic cultures along the Yellow River. 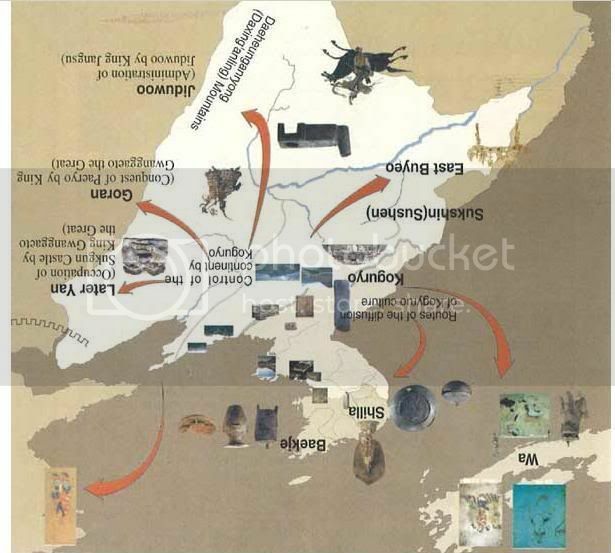 Along the central reaches of the Yellow River were the Jiahu culture (7000 BCE to 6600 BCE), Yangshao culture (5000 BCE to 3000 BCE) and Longshan culture (3000 BCE to 2000 BCE). Along the lower reaches of the river were the Qingliangang culture (5400 BCE to 4000 BCE), the Dawenkou culture (4300 BCE to 2500 BCE), the Longshan culture (2500 BCE to 2000 BCE), and the Yueshi culture. Oracle bone script (Chinese: 甲骨文; pinyin: jiǎgǔwén; literally "shell bone writing") refers to incised (or, rarely, brush-written) ancient Chinese characters found on oracle bones, which are animal bones or turtle shells used in divination in ancient China. The vast majority of the bones are ox scapulae and tortoise plastrons which record the pyromantic divinations of the royal house of the late Shang dynasty, primarily at the capital of Yin (modern Anyang, Henan Province), and date from around 1200-1100 B.C.A few are from Zhengzhou and date to earlier in the dynasty, around the 16th to 14th centuries BC,while a very few date to the beginning of the subsequent Zhou dynasty. Hangeul (the Korean alphabet) was created by King Sejong in 1443. Prior to Hangeul, all of the Korean literati used the Hanja writing system, which were traditional Chinese characters with Korean pronunciation and meaning, and used a written language known as Hanmun, which was basically Classical Chinese, for official court documents. However, even with the advent of the Korean alphabet, use of Hanja and Hanmun in daily correspondence was not discontinued, with the Korean aristocracy, educated in Classical Chinese for the transcription of the Korean language, assumed condescending attitudes toward Hangeul and any kind of usage of it (as displayed by the number of pejoratives used to refer to it). King Sejong explained that he created the new script because the Korean language was different from Chinese; using Chinese characters (known as Hanja) to write was so difficult for the common people that only the male aristocrats (yangban) could read and write fluently. (A few female members of the royal family could also do so to a certain extent). The majority of Koreans were effectively illiterate before Hangul's invention. so if the Korean created "Chinese" why is so hard for them too learn it and they have to change it to a new one??? hum doesnt sound right? I think people who thought of "Korea Created Chinese IDEA" want to Destroy the Relationship between South/North Korea and China! IF korea invented Chinese character which is an hieroglyphic writing, why they switch to an alphabetic writing?Did korea also invent some drug or poison whick made themselves insane cause the chemical action to their brain? 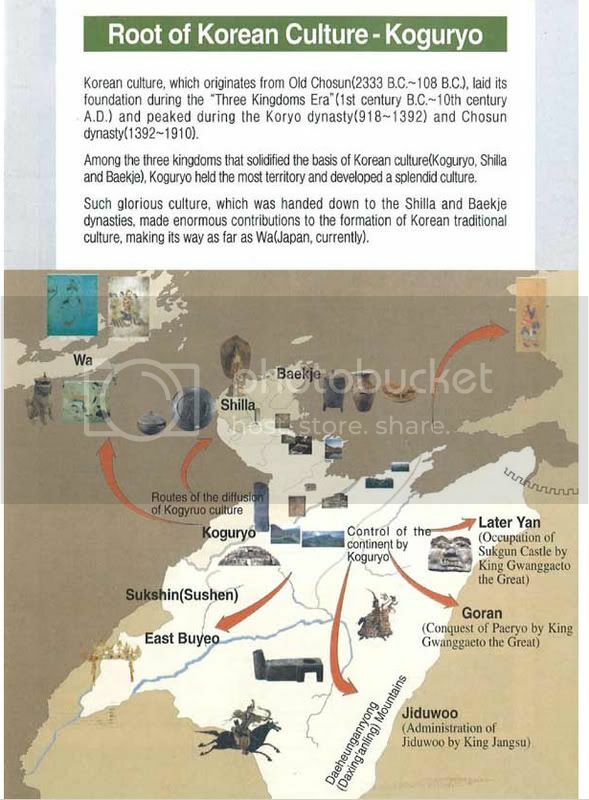 Is there any ancient books about korea has 9600 history which written in Chinese charater? obvious no. if korea really invented Chinese character why they has not used it to record any history before they switch to alphabetic language. If somebody insist that Chinese people has some inner relationship with korea, I would say X thousand ago, there were some chinese people flea from China, probably because they lost a war or did not want to be slaves of slave holder. own character otherwise it is like a shame. Today, when West countries begin to learn Chinese and Japanese, korea people feel bad, because their calture can not influence the world as their economy. and their country is protecting by a foreign troop now. They think they should have a influence on calture an military affairs to the world. So they pretent the inventor of the most influential Asian language, which is chinese. I suggest korea also to pretent USA soldiers have korea blood, so korea people will be the strongest race in the world. I am waiting for this laughy.haha!!! THIS IS A SHAME , YOU KOREAN PEOPLE CLAIMING SOMETHING THAT IS NOT YOURS, YOURS. YOU HAVE BEEN BRAIN WASHED THE FIRST DAY YOU WERE BORNED HAHA. the whole world knows THE TRUTH except for you brainwashed pathetic fantasizing korean fools. Once koguryo dominated North east Asia reigion. It's really a pride of Korea history. 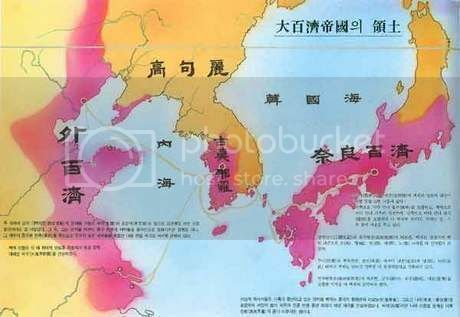 Korea was a ancient Rome of North East Asia. Shandong Peninsula (Confucius' born there), and Manchuria formed one unified state sharing one common culture of superiority. China often neglects what Korean contributed to their history, and culture. Without korea, china today could not exist. and shame to all chinese ultra-nationalists. was a military genius and subjugated much of today's China. In about 2,700 BC, he sent an army led by Hyung Oh to occupy Tibet. Tibet remained a part of Bai-dal for about 800 years. King Chi Wu appears in Chinese chronicles and his grave located in Shantung has been excavated. Today, some of Chi Wu' soldiers settled in in the Golden Triangle of Burma and their descendents are still there. King Chi Wu's military successes were due not only to his superior tactics but also to his weaponry. He introduced explosives and chemical weapons to make clouds and loud noises. His army was equipped with swords, axes, arrowheads, and lance tips, which were made of bronze while his enemies were still in the Stone Age. His troops used catapults, high-power crossbows, wild dogs and even elephants. All of these were 'modern' weapons of his era. The Bai-dal people were avid pyramid builders, more so than the Egyptians. The Korean pyramids were first discovered by an American pilot in 1945, who were ferrying supplies to Chiang Kaisek's troops in Manchuria. He took pictures of the pyramids and published them in newspapers. Until then, the pyramids were thought to natural hills. Since then about one hundred pyramids have been discovered, the one of which is larger than the largest Egyptian pyramid. Some of the pyramids are more than 2,000 years older than the oldest Egyptian pyramid. King Chi Wu's battle flag (circa 2,700 BC) is believed to be the origin of today's Korean flag, tae-guk-ki (inset). 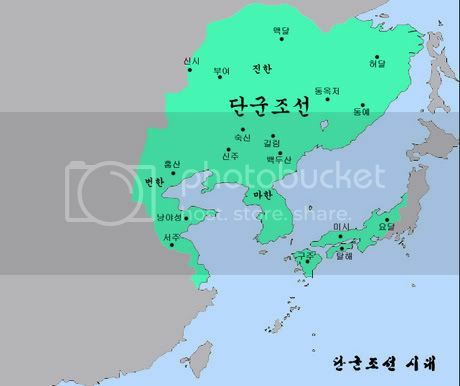 The Korean nation of Bai-dal under King Chi Wu ruled much of China, Siberia, and beyond. both Chi Wu's flag and modern South Korea's flag were influenced by Daoism. Chi Wu lived around 2,700 BC, but Daoism's founder Laozi lived sometime between 3rd and 6th century BC. did Chi Wu actually founded Daoism some 2000+ years before Laozi? The war God known to the Han Chinese as Chi You is known to be Jaoji Hwanung, the 14th Hwanung of the semi-legendary ancient Korean Empire known as Baedal. Chi-Woo succeeded Sawara Hwanung to the throne of Baedal during the year 2707 BCE. Upon rising to the throne, Chi-Woo was almost immediately faced with the threat of the growing influence of Yoomang, who was a descendant of the Yan Emperor, also known as Shennong. Yoomang was the 8th and final ruler of the kingdom of Shennong. Chi-Woo declared war on the kingdom of Shennong, and rose victorious at Kuhon. Yoomang fled to his close relative, Xuanyuan, also known as the Yellow Emperor. The Yellow Emperor led a tribe of his own, and merged his tribe with the Shennong tribe to form the Huaxia tribe. The Huaxia tribes declared war on Baedal. The Empire of Baedal was said to have stretched throughout the Manchuria, and into the Shandong region. The Huaxia tribes had settled in the Yellow River Valley region. Jaoji Hwanung won all of the 72 battles, but Baedal lost one battle, in which General Chiwoo-Bi, a general of Jaoji Hwanung, disobeyed orders and was ambushed when he tried to lead an attack on the Huaxia. General Chiwoo-Bi was killed in the ambush, but Xuanyuan was later captured and surrendered to Jaoji Hwanung at the next battle. Jaoji Hwanung spared Xuanyuan, and the two rulers agreed that Huaxia would be a tributary state to Baedal. The battle of Takrok and the Ten-Year war between Huanghe and Baedal ultimately laid the cornerstones to the kingdoms of Korea and China. For China, the Battle of Takrok was a decisive one that was essential to history in that Xuanyuan was given the title of Hwangje, which was originally one of Baedal's Five Noble positions. The title of Hwangje and the right to rule the land of the Huang He River Valley resulted in the bountiful history of China. 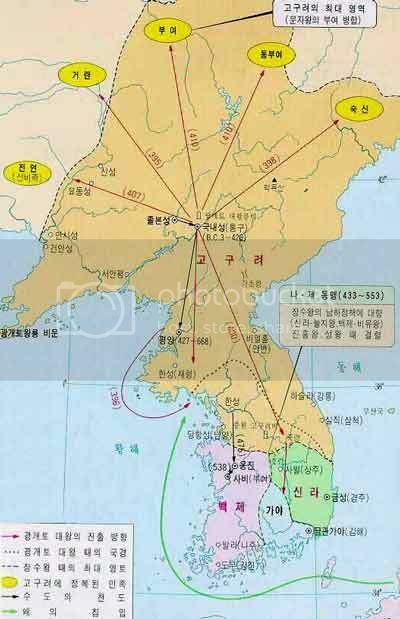 Meanwhile, for Korea, it meant superiority over the Korean peninsula for centuries. I think the sun was launched by the korean too!